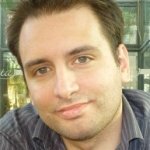 An architect and urban designer by profession, Dr Antoine Zammit holds an undergraduate degree in architecture and civil engineering from the University of Malta (UoM), a post‐graduate MSc degree in Town and Country Planning and a PhD research in planning and urban design, both from the Bartlett School of Planning, University College London (UCL). He has worked in private practice since 2002 and was further a member on the Planning Appeals Board. Today he leads his architectural and urban design consultancy, studjurban, lectures in spatial planning, urban design and urban governance at the Department of Spatial Planning and Infrastructure within the Faculty for the Built Environment, UoM and guest lectures at UCL. He is a member of the Architects’ Council of Europe (ACE) Urban Issues Work Group, the Commonwealth Association of Architects’ Validation Committee and a Core Group Member and Working Group leader of COST Action TU1306 Cyberparks (Fostering knowledge about the relationship between Information and Communication Technologies and Public Spaces supported by strategies to improve their use and attractiveness). In the field of planning and policymaking. 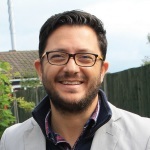 Dr Zammit advises the Planning Authority on major policy revisions and is the author of the key document ‘Development Control Design Policy, Guidance and Standards 2015’ (DC15). He has also delivered papers at numerous international conferences and transnational meetings in the research areas of urban design quality, urban design research methods, urban design policy-­making, green urbanism and responsible design. Dr Zammit has recently co-ordinated a number of architectural projects for the Maltese Presidency of the Council of the European Union in the main public and Presidency spaces located within the Justus Lipsius and Europa Building in Brussels, leading a team of designers, manufacturers, suppliers and installers on behalf of the Faculty for the Built Environment at the University of Malta. 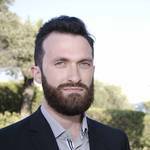 Adrian Debattista is a Research Associate at the Arts Council Malta. He has an undergraduate in economics from the University of Malta, followed by an MA Arts Festival & Cultural Management from Queen Margaret University, Edinburgh, in 2015. Adrian’s role involves developing and managing the council’s research programme through qualitative and quantitative research while gathering statistics and data mining, analysing cultural practices and monitoring trends effecting or resulting from cultural participation, production and consumption. He is also responsible for ensuring quality control of research by setting up appropriate monitoring and evaluation systems. The aim is to produce a knowledge base from which effective policy recommendations can be made, while aiding cultural operators through more informed decision-making. 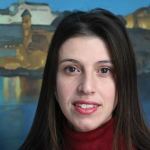 Ms. Galea is the head of unit of the Living Conditions and Culture Statistics unit within the NSO. She has served this role for the past year, during which she was responsible for the production of statistics related to poverty and material deprivation. She also had the role to oversee the compilation of the Household Budgetary Survey from an administrative point of view. 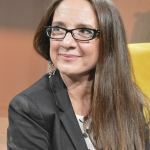 In 2016 she was responsible for a number of surveys related to culture, mainly the Valletta Participation Survey (2016) and the Culture Participation Survey (2016). Previously she was the head of unit of the Short Term Statistics unit, where she had a leading role in the production of indices in the domains of industry, construction, retail and services. During this time she implemented the method of seasonal adjustments within these domains. She has also increased the compliance of this unit according to the parameters set by Eurostat by more than 2 points, to 9.5, mainly due to the production of data on building permits, monthly provision of turnover indices for the wholesale sector and the provision of labour indices for the retail and services sector. 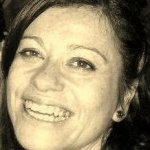 Tania Sultana graduated in B. Com (Hons) Management from the University of Malta in 1998. 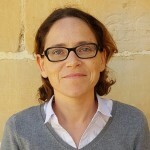 She has been working at the Malta Tourism Authority for the past nineteen years and is currently ‘Head of Research’ within MTA’s Research Unit – (Strategic Development). Her main area of expertise is tourism market research and strategic planning. She is responsible for MTA’s research programme and a main contributor in the development, monitoring and implementation of MTA’s Marketing and Product Plan. Over the recent years she has also participated in a number of tourism related EU-funded projects. She has participated and presented research work in international tourism research conferences/seminars namely organized by Eurostat/OECD and UNWTO. She represents the MTA and is an active participant in the market intelligence group of the European Travel Commission. Mr Vella joined the Economic Policy Department as a junior economist in 1999. He obtained his Masters degree in economics from Warwick University in 2003 and has also undergone training at the IMF Institute in Washington in 2007. In 2011 he was appointed Director (Economic Strategy) at the Economic Policy Department responsible mainly for Fiscal Affairs, Financial Stability and Economic Forecasts. He formed part of the Economic Policy Committee until April 2013 and now he is a Malta’s Alternate Economic and Financial Committee member. Mr. Vella is also a member of the Creative Economy Working Group representing the Ministry for Finance and has directed a small team of experts within the Economic Policy Department in order to carry out research on the culture and creative industries, including the completion of the “Economics of the Culture and Creative Industries” report in 2011 and a research paper “Design Activity in Malta: A Macro-Economic Analysis” published in 2016. 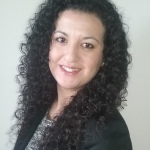 Adonia Dalli works as an A/Senior Executive in the Labour Market Analysis Unit within the EU Affairs, Labour Market Analysis & Employer Services Division at Jobsplus. Amongst other tasks, she is mainly responsible for the analysis of labour market statistics and compilation of reports about labour market developments and trends. She also formed part of the research team which conducted the Employability Index Study which was aimed at providing insights into the extent to which the skills and disciplines taught by post-secondary educational institutions match the requirements of the Maltese labour market. Prior to her assignment in the LMA Unit, she gained hands-on experience on EU Funded Schemes, mainly the Employment Aid Programme, within the same corporation. She graduated from the University of Malta in 2013 and holds a Bachelor of Commerce (Honours) Degree in Economics. Furthermore, she also holds a Diploma in Banking and Financial Services accredited by the Institute of Financial Services in Malta. 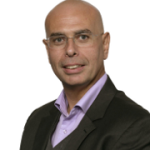 Emanuel is head of the Marketing Department within the Faculty of Economics, Management and Accountancy at the University of Malta. He completed his PhD at Cranfield University School of Management, where he researched organizations’ use of customer insight. He has presented his research at the Academy of Marketing Conference, Australia New Zealand Marketing Academy Conference and has published in the Journal of Marketing Management. Lecturer in Behavioural Economics, Research Methods, Social Marketing, Environmental Economics (University of Malta). 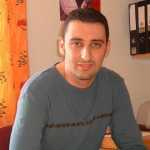 | PhD Economics (Stirling); MSc Environmental and Resource Economics (UCL), BA Honours Economics (Malta). | On-going research on circular economy (funded by Horizon 2020), voluntary environmental cooperation, cultural participation. | Collaboration agreements with the Environment and Resources Authority, the Malta Arts Council, the European Capital of Culture. | Previously Deputy Director at the Malta Environment and Planning Authority (Environment) and National Focal point to the United Nations Framework Convention on Climate Change. | Award winning television writer/producer. | Active in outreach, Chairperson of the Forum for Active Community Engagement within the President of Malta’s Foundation for the Wellbeing of Society. | Representation on several boards. | Main areas of expertise: Behavioural Environmental Economics, Market Failure, Communication.